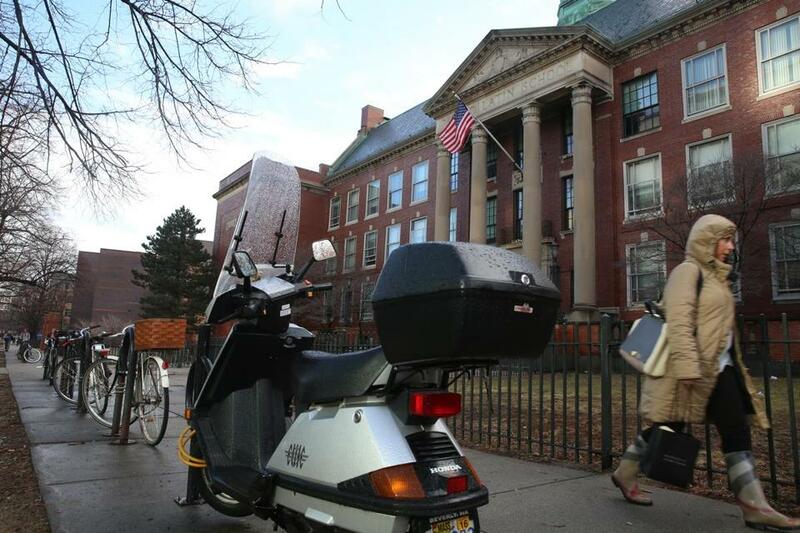 Boston Latin School, founded in 1635, is considered by many an educational crown jewel. A lot of us didn’t go to Boston Latin, but what’s going on at the prestigious public high school should matter to everyone. The sharp decline in black enrollment goes to the heart of why income inequality and opportunity inequality form a pernicious cycle in Boston. Today about 9 percent of Latin’s students are black, down from nearly 22 percent two decades ago. But the most troubling statistic of all is that the number of applications from black students has dropped by 33 percent during the same period, according to a recent analysis done by Globe colleague Stephanie Ebbert. It’s a damning message sent to black families that they don’t belong or are not entitled to the best education and opportunity the city has to offer. So, no, it’s not overkill for the US Attorney’s office to investigate alleged civil rights violations at the school. It’s what needs to be done. We’ve been talking ourselves out of why we shouldn’t do more. Black kids in Mattapan have opportunities white kids in West Roxbury don’t. Black kids are eligible for Metco, a state-funded program that buses students to the best suburban public schools. Black kids can get scholarships to private schools. Black kids are going to charter schools. A recent study by the Boston Redevelopment Authority found that African-Americans and Hispanics have the highest rates of unemployment in the city and the lowest levels of education. Of those working, 44.7 percent of Hispanics and 27.3 percent of blacks never finished high school, compared to 10.4 percent of whites. Analyzed by race, you begin to understand why some people feel like the system is stacked against them. According to the BRA study, the median annual income of whites is $51,000 and $29,000 for blacks and $21,300 for Hispanics. Boston City Councilor Andrea Campbell, who is black and a 2000 Latin graduate, gives credit to the school for shaping who she is today, more so than her college experience at Princeton or UCLA School of Law. Still, Campbell is as upset as anyone about the school’s diversity problem and the implication about inequalities in the city. But as everyone knows, change is hard for Bostonians. Boston Latin, founded in 1635, is an educational crown jewel churning out illustrious alums generation after generation, from John Hancock to developer Norman Leventhal. Don’t mess with success. But let’s be clear. No one is asking Latin to lower its standards in order to diversify. A legal challenge struck down an affirmative action program that put in place racial quotas. No one is asking Latin to lower its standards in order to diversify. What needs to change — as Campbell suggests — is everything else before sixth grade, the year kids start to apply to Boston Latin and other exam schools. The business community has been out front in supporting charter schools, but that’s just one part of the solution. Boston has about 77,900 school-age children of which roughly 10 percent attend charter schools. Business leaders haven’t been shy about wanting to lift the cap on charter schools in the state, under the belief that more autonomy, longer school days, and innovation can close the achievement gap, even in poor urban districts. It’s a contentious fight — up against teachers unions — but consider it just the beginning if transformation is going to take place. Next up: closing and reconfiguring schools. The first steps to fixing Latin’s racial imbalance should be about helping black families navigate the system and expanding the free test preparation program to prepare for entrance exams. That’s underway now after the Globe story. “We’re getting close to helping level the playing field,” said Larry DiCara, a partner at Nixon Peabody law firm and a 1967 Latin graduate, who’s also known as “Mr. Latin” in town. But to really get there, we have to first recognize that Boston Latin is everyone’s problem. Correction: Due to a reporting error, the number of Boston school-age children in charter schools was misstated. Roughly 10 percent attend charter schools.